In Melkote, those on duty in the temple, double up as Sanskrit scholars. Some years ago, when I met Sanskrit scholar Dr. Prabhakar Apte, who has translated Pancharatra Agamas to English, he said that there were four kinds of endowments mentioned in the Paushkara Samhita. And thinking about Ramanuja’s stay in Karnataka, I came to realise that Ramanuja made all these four endowments in Karnataka. Here is how Ramanuja’s contributions fit in with what the Samhita says. According to Paushkara Samhita, Alaya pratishthana –temple construction is one endowment. Ramanuja built the Melkote temple. Coming to the second endowment - Brahma pratishtana - establishing a priestly colony around the temple, Ramanuja did that too in Melkote. The third endowment mentioned is vidyapitha pratishtana - educational endowment for establishing a Veda patasala within the temple premises. 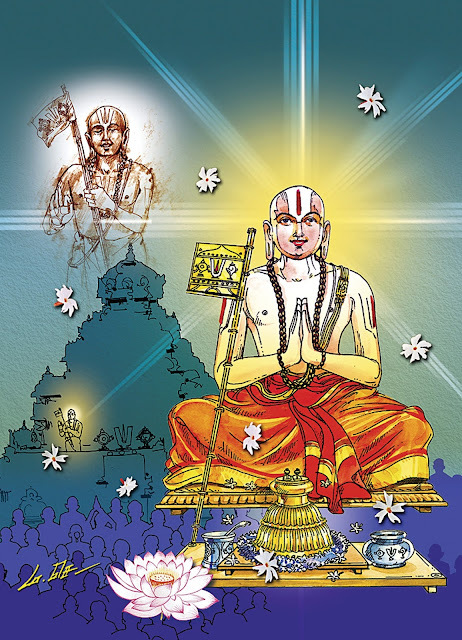 While Ramanuja did not actually establish such a Veda patasala in the Melkote temple, it is believed that he taught Sri Bhashyam in the temple precincts. He is also believed to have taught in other places in the temple town. This certainly would have fostered a spirit of learning in Melkote. He brought in Vedic scholars to take care of various temple duties. In most places, scholars engaged in academic pursuits, do not usually take care of temple duties, and temple priests are not academically inclined. But in Melkote, we find those on duty in the temple, doubling up as Sanskrit scholars. They study old grantha manuscripts in the Academy of Sanskrit Research in Melkote, and help in bringing out critical editions of old texts. In fact, when I visit Melkote, Thirukkurungudi S. Krishnan, descended from one of the four sthanikas appointed by Ramanuja, has a brief conversation with me at the Sanskrit Academy, and then excuses himself because he has temple duties. Rangapriya Swami, descendant of Tiruvanatapura Dasar, yet another sthanika appointed by Ramanuja, also has work both at the temple and the Academy, and dusk is falling, when he is finally able to meet me. Not surprising that Melkote is referred to as Jnana Mandapa. In fact, if you visit Melkote, chances are you will bump into a Sanskrit scholar sooner or later. In the 19th century, Veda patasalas were run in many houses in Melkote. It was perhaps because of this long tradition of learning in Melkote, dating back to Ramanuja’s time, that Mummadi Krishnaraja Wodeyar established the Vedavedantabodhini Samskrita Maha Pathasala in Melkote in 1854. 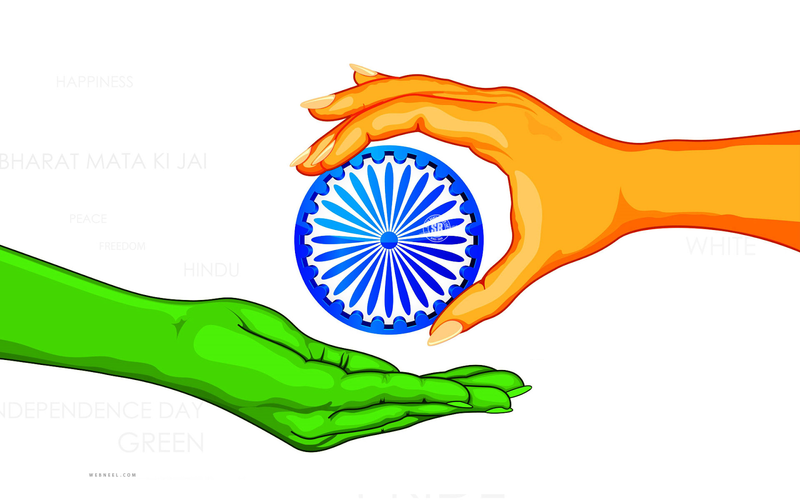 In 1902, the Sri Ubhaya Vedanta Pravartana Sabha was established, to teach both Sanskrit and Tamil texts. According to the Paushkara Samhita, the fourth endowment is phala mula pratishtana, providing agricultural accessories to temples, and providing water for the temple’s agricultural lands by building lakes and wells. In Tondanur, Ramanuja built a lake. While the Nambi Narayana temple there came later, the lake Ramanuja built would certainly have irrigated lands that were gifted to the temple. 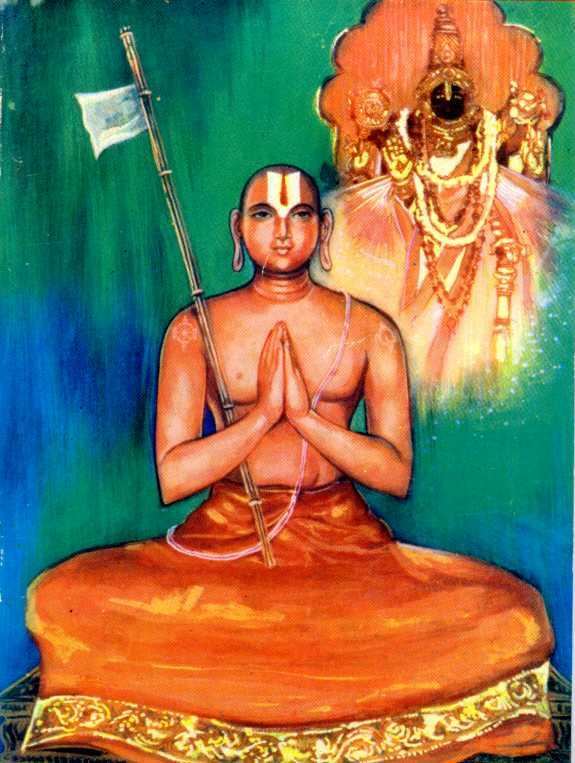 Thus Ramanuja can be said to have made in Karnataka all the four kinds of endowments described in Paushkara Samhita. 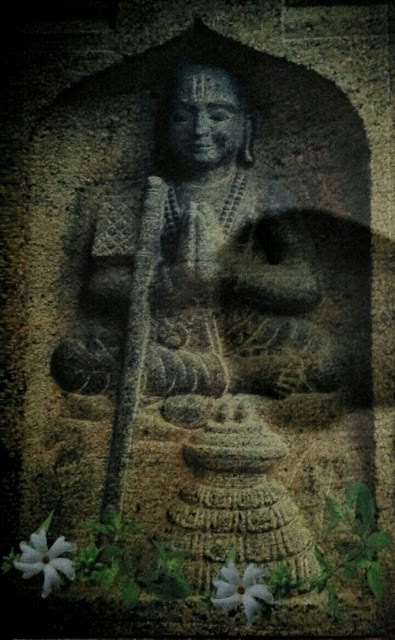 Ramanuja’s influence in Karnataka is also interesting from a sociological standpoint. During the Hoysala rule (1022 C.E. to 1310 C.E, when the Hoysalas were defeated by Malik Kafur), 648 temples were built.